Brand advocates are three times more trusted and influential than ads or other forms of media, according to brand advocacy solution Zuberance. That means that people who review your business online or talk to others about you are more likely to influence others’ buying decisions. There are many simple actionable techniques your business can use to get more 5-star reviews. Once you have the basics down, though, it’s time to look at some advanced strategies to increase your positive reviews even further. Listed below are some strategies your business should consider to create brand advocates and increase their reach. To ensure that your online reviews reach the most potential customers, you’ll need to call attention to your business on popular review sites like Yelp. To make it easier for your customers to find your company’s presence on these sites, you should include links to them on your website and other materials. For instance, you can include links in your email newsletter and customer service email signature. Then, when you communicate with customers in these ways, they’ll easily be able to leave reviews while your company is on their mind. As you measure your customer feedback, look for ways you can encourage sharing. Customers who have a good experience may not think to share publicly but are more than happy to complete a survey, for example. Encouraging them to visit your social channels at the moment they are leaving their favorable feedback can be very beneficial. If you communicate with customers in person, you should also work to drive traffic to your review sites using offline methods. For example, consider handing out pre-printed postcards to customers after their purchase is completed. These cards should thank them for their purchase and ask them to leave a review about their experience with your brand. To make it really easy for them to leave reviews, include QR codes that they can scan to get to your business’s page on Yelp or other sites. Sometimes customers don’t pay much attention to small postcards or links at the bottom of an email though. That means that you have to make your customer reviews a little more prominent. 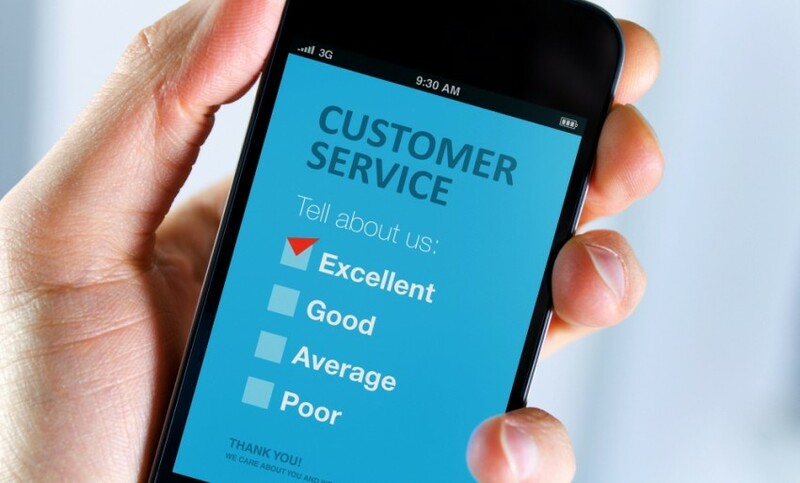 One option is to display customer testimonials directly on your website. Visitors are more likely to pay attention to full reviews on your website than they are to a small link at the bottom of the page. You can either embed reviews directly from Yelp or similar sites, or gather testimonials and enter them on the site yourself. Either way, when customers see other reviews, they may be more likely to leave one themselves. And, of course, you should include a link for them to do so near the existing testimonials. You can also increase your reach by helping some of your most loyal customers share their experiences. For example, host a contest asking your customers to share a video of their favorite way to use your product. Ask your customers to post photos of your product in use on Instagram. Or even just set up a dedicated hashtag for social media users. These methods give your customers a specified outlet for sharing information about your company and its offerings. By sharing these types of posts on social media, you’re also able to reach an abundance of potential new customers without having to actually post a thing. I think it’s key that you make it as easy as possible for people to give you a review, and that you spend your efforts on the people that you know had a fabulous experience. Most people who give reviews were either blown away happy or super unhappy. Get the former and not the latter. Brands can harness the power of brand advocates via a successful referral program, like the ones we do at Amplifinity. Advocates, those willing to do a referral for your brand, are given many options including social media outlets, to sing the brand’s praises. Referral programs leverage a targeted market, expand your reach, and operate through your fans reaching out to their network of people who trust them way more than an ad or stranger. The goal for any business should be to make it relatively easy for its customers to leave reviews on independent review sites. More so, since the customers are the ones with actual experience of their product or service.